Get to airport at least 2 hours ahead of domestic flights, 3 hours for international. Seattle-based Alaska Airlines on Thursday advised its customers that security lines at Seattle-Tacoma International Airport have been backing up during peak periods and urged fliers to get to the airport early to beat the waits. 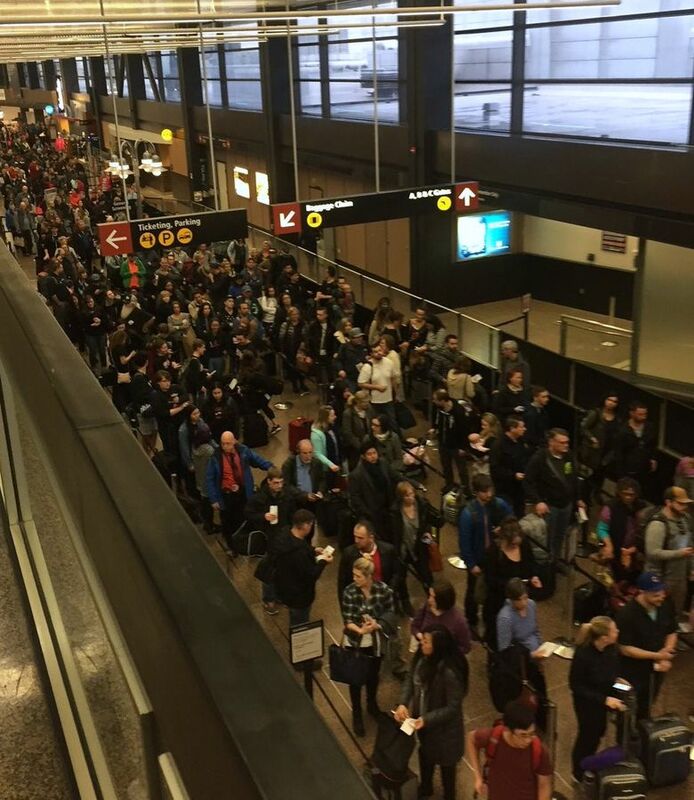 “Over the past few weeks, we have seen very long lines at TSA checkpoints at Sea-Tac… and a number of other airports nationwide,” Halley Knigge, media and content editor for the airline, wrote in an email. During peak travel times of 6:30 to 9 a.m. and 7 to 9 p.m., navigating the lines has taken as long as two hours at times, she said. So that travelers may get to their planes on time, “we are urging customers traveling domestically to arrive two hours before their flight and international fliers to arrive three hours before their flight,” Knigge said. She suggested that some security checkpoints may have shorter waits and it can be worth switching if travelers encounter a long line. The Wall Street Journal reported Wednesday that longer lines at some airport security gates across the nation are creating fear of a summer travel meltdown and growing tension between airlines, airports and a Transportation Security Administration facing budget issues and a mandate to tighten security.